There are many reasons I love summer, but one of the main ones is that I can walk barefooted. As a child I would kick off the flip flops, unbuckle the sandals, and toss aside the Keds so that I could run through the grass in bare feet. Yes, there were the occasional stings from an angry bee because I invaded his turf, but the feel of the grass and the earth was worth it. Now I am finding out all of the wonderful benefits of barefooting. Walking barefooted is also known as "earthing", and besides the benefits listed above it has other remarkable health advantages "such as increasing antioxidants, reducing inflammation, and improving sleep". 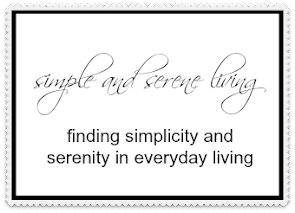 You can read more at Mind Body Green. Maybe we knew a lot more than we thought we did as children. So get out there and enjoy the feel of the grass on your bare feet. Your body and mind will thank you. Barefooting is simplicity and serenity at its best. It does feel good to be barefoot, doesn't it? I read an article last year touting the benefits and it said that the average American can literally go years without ever stepping on the earth in bare feet. Wow. Not me, I love to walk barefoot on the beach and do it very often. I definitely get some ouchies while toughening up my feet each year. Hooray. I had some amazing callouses too. Isn't it great to be able to walk around again without all of that pain. Walking barefoot in the country sounds like an ideal childhood, Deb. I love going barefoot - one of the best parts of summer! And I never wear shoes in the house, just socks in winter. So nice to know my preference is also healthy! I have read about the benefits of walking barefoot. Interesting! I have been reading about earthing for awhile. I intend to walk barefoot outside a lot more this summer. Well, I wish I could be a kid again and go barefoot in the grass. :) I've heard of this a lot lately and am curious about it. You don't have to be a kid to do it, Pamela and if you do it you may just feel like a kid again. I go barefoot as much as possible...except in the winter when my feet are so cold that I have to wear socks 24/7! I have to wear socks in the winter too, Melanie because with my neuropathy I can't stand the cold. I am always so happy to yank them off when the weather turns warm. I agree...I go barefoot in the house and sometimes outside if skeeters aren't too plentiful...the best for our bodies is barefooting on the soft sand...it really works the muscles and reflexology. 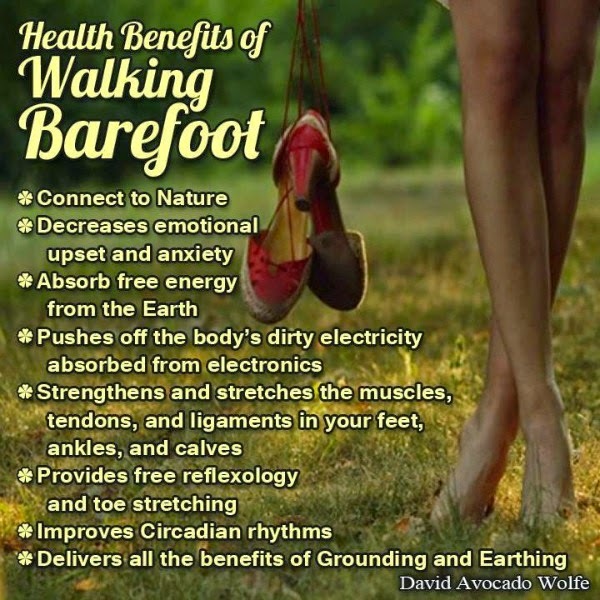 This is excellent news since I love walking barefoot! I have done a lot of reading about "earthing" and it really makes perfect sense to me. I think it explains why laying on a beach is do restorative. I too walk barefoot as soon as it is warm enough and I sit on the ground whenever I can. Connecting to the earth is therapeutic for sure. Great post!